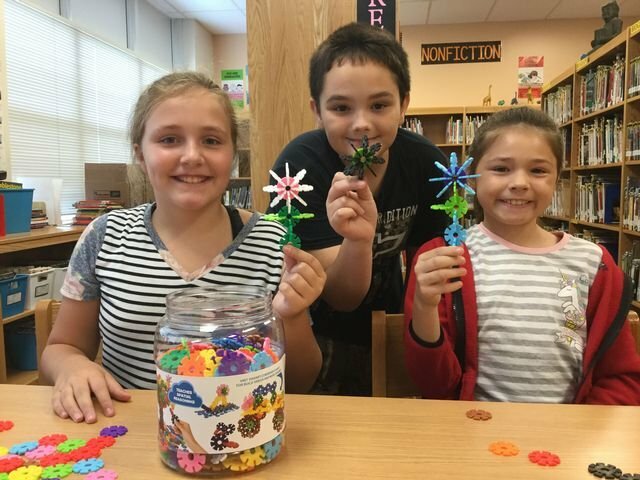 Students have been having fun while learning problem-solving skills in the library makerspace. Makerspaces are areas where students come to explore, build, create, and tinker. A popular activity was the Paper Chain Challenge, a competition to see who could create the longest chain when given one sheet of paper, 12 inches of tape, and a pair of scissors. Students also enjoy the Lego wall and various strategy games and building activities.